On June 1st, LEGO released a sandbox style game on Steam Early Access titled LEGO Worlds. This game resembles the already popular game called Minecraft, but has several features that are only available through mods in Minecraft or are limited. Such features include vehicles to drive or fly, multiple mounts including horses, bears, and dragons, to name a few, and a building design similar to that of LEGO's Digital Designer. The game's play mechanics are like that of other popular LEGO games (LEGO Star Wars, LEGO The Lord of The Rings, etc.). Controller support has already been implemented and mimics the controls available in their adventure games. But as with any game still in beta stage it still has it's bugs and lack of (what I think are important) features. World options before creating new worlds to select what biomes generate, etc. These are a few features that would, in my opinion, greatly improve the game. The game is currently singleplayer and building centered, which is what LEGO is all about, and this is what gears it towards a younger audience. 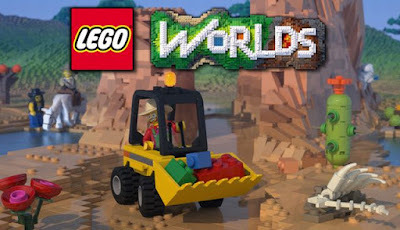 If LEGO wants to reach a wider age range, two of the features I mentioned above, adventure mode and multiplayer support, will be an important components in this. The game, though, is still in Early Access and I am sure LEGO has a lot of plans yet to be grafted into the game. They have a very good foundation to work with and this game has great potential to become one of the next top games. That being said, I do not feel the game has enough to offer to pay $14.99 for at this point. I would save your money for a more complete game and wait until this one has had more time to be developed. If you do want to check this game out, you can click here to go to Steam's store page for it. Please leave comments below if you liked this post and/or disagreed/have your own opinions of the game! Follow me on Twitter to know when I will be going live and follow this blog for bigger updates concerning the stream as well as other things. 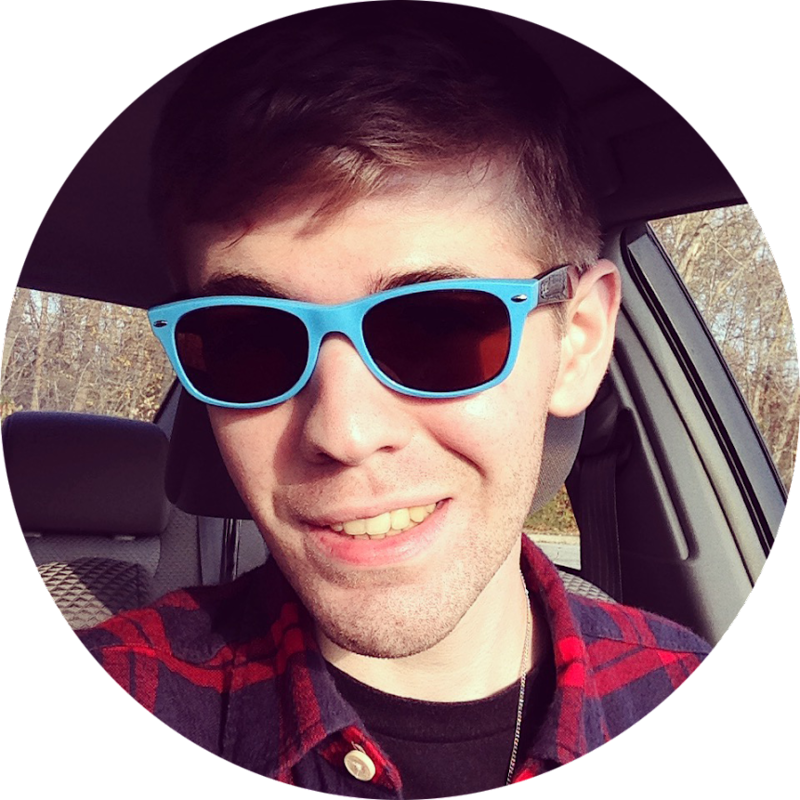 EDIT: Also, I have completely overhauled my website which can be found here. 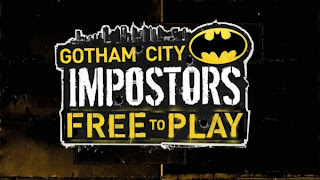 Gotham City Impostors was released earlier this year on PS3, Xbox 360, and PC via Steam. Starting August 30th, the game became free to play on Steam. Taking interest in it now being free to play, I gave it a try. Surprisingly, I rather enjoyed the game. However, it does take some getting used to, and there is a major issue that hinders the game which I will explain shortly. The game is relatively easy to get into, and you start out with a tutorial on how to play, and all the gadgets involved in the game. 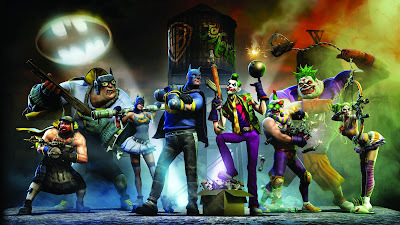 Once completed, you begin online play through one of the different game types available. There is no way to select a room to join, as you are automatically placed in a room by random. You can find yourself spending quite a bit of time in the game lobby waiting for it to start, and loading speeds are a bit on the slow side. Gameplay is interesting, but fairly easy to pick up. Controls follow standard FPS controls, except that to switch first weapon to second weapon you have to use the mouse wheel, which can get tiresome as you will find yourself pressing 2 to switch, and nothing happening. With all of the gadgets, guns, and even bow and arrow to use, it is an unusual battle. But with only 6 maps available, it can start to grow old. 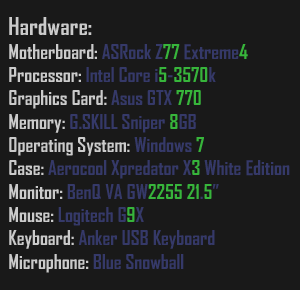 Customization took a bit to understand. You are able to change your players outfits by buying clothes and accessories with coins earned in-game. Package deals are available exclusively with Steam credit as well. Guns, Character physique, gadgets, and skills are unlocked by leveling up. When you level, you earn an unlock for a specific item that you can use to unlock any item under that category, like a gun mod. Also available are player cards, which serve as a players display picture, and can be changed by unlocking more items by leveling, or finding crates that randomly appear in-game. Other items are available via Steam credit in the Black Market, but I do not see this as a game worth investing money in. Here's the major con to the game: random disconnects and kicks. While playing, I was disconnected and even kicked repeatedly from the game. Searching online for this issue, I found a lot of people experiencing the same problem, without a solution to fix it. The issue does not always occur, and I can go hours without experiencing it, but there are times it will happen and keep happening until I am tired of trying to join and stay in a game. Being a free to play game, it is worth downloading and playing. But unless the disconnect/kicking issue is fixed, I do not see this being a game that goes anywhere. My final rating for the game, because of the server issues, is a 6 out of 10. Well, it is official. 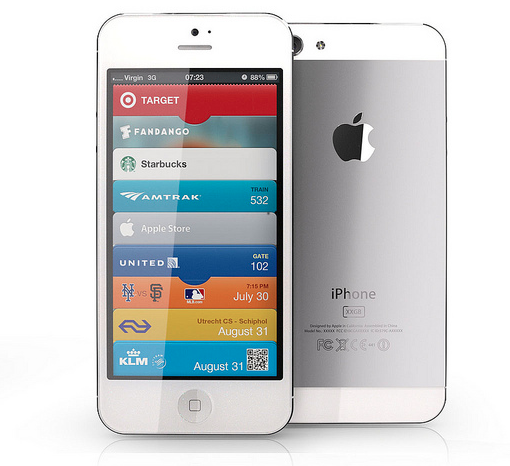 Apple has announced their new iPhone 5, along with the new iPod Nano and iPod Touch. But because the design (seen below) and a lot of the specs to the iPhone 5 were already leaked, it was not as exciting to watch the event. And the updates to the iPhone 5 were a bit of a let down. No new revolutionary update has come to the iPhone 5. It is basically minor advances making current aspects better. The iPhone 5 now has a 4" display, versus its original 3.5", and a fifth row of icons. The colour on the back and sides of the black iPhone is called slate, and silver on the white model. I find the colours to complement the phone better then just the basic aluminum colour. The new "lightning connector" has replaced the current 30-pin connector, and is a lot smaller. An adapter is available for $29. 4G LTE is also here, but Apple needed to do that to keep up with competitors, so it's not much of a surprise. There have been updates to the camera, including: dynamic low-light mode, Panoramic mode, and front facing 720p HD video recording. A disappointment is that the battery life does not seem to be that it lasts longer on 4G than other smartphones, as not much was mentioned in that way. The iPhone 5 will have iOS 6, and with the elongated screen, apps will be updated to fit the screen or black boxed top and bottom, and not stretched. Also, Apple's contract with Google to have the YouTube app has expired, so Apple is no longer default installing it. Google has released a free YouTube app in the App Store available now thankfully it is not the ugly brown colour Apple has been using. 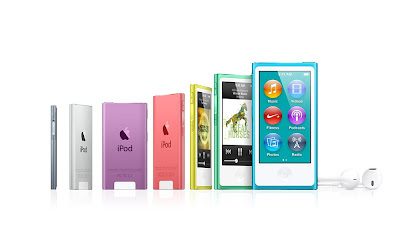 As mentioned above, Apple has released new versions of the iPod Nano and iPod Touch. Personally, I find the new iPod Nano to be unattractive. The colours used look like kids toys, and the home screen matches the colour of the iPod Nano itself. The screen bottoms are round, instead of the usual square Apple style, which causes some confusion as to why they have switched styles. The iPod Nano also uses Apple's new lightning connector. The new iPod Touch has an elongated screen, matching that of the iPhone 5. 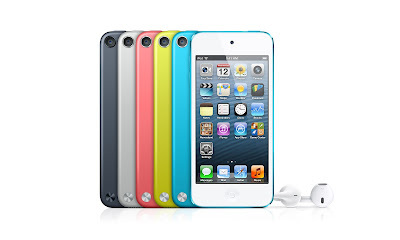 The iPod Touch comes in 5 colours (colours?! ), and has an odd silver screw at the back bottom left corner that allows for a wrist strap. The iPod Touch uses the lightning connector as well, which will seemingly be Apple's new standard on their products. Also, Siri will be available on the iPod Touch (over wifi of course), but I wonder how useful that will actually be on an iPod. An update is coming to iTunes, and resembles the iPad's iTunes. It will be coming out later in October. But now let us move on to Apple's new earbuds called EarPods. I find the name a bit odd, and makes me feel I am sticking a pod (cocoon) in my ear, and that it will eventually hatch into an iBug. But the design is rather interesting, as they were designed to fit into the ear better. There's a side speaker on the EarPods that is the bass, to give you a richer sound when listening. They spent 3 years designing these, so let us hope they are as good as they say! The iPhone 5 will undoubtedly sell, as people crave Apple. The iPod's market is getting smaller as more tweens and teens are getting smartphones, but there is still a market for them. 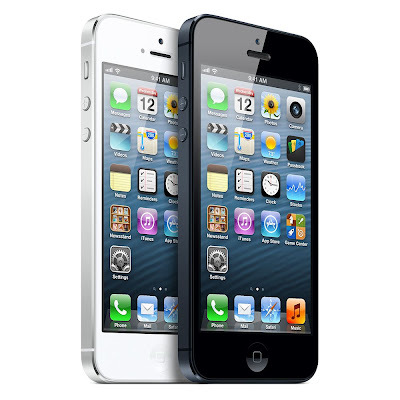 I plan to buy the iPhone 5 when it is out, but that is because I personally prefer Apple products over competitors. I wanted to thank CNET for the live updates during Apple's event, and the amusing commentary that took place. Apple's event at the Yerba Buena Center is less then 15 hours away. Plenty of rumors are circulating as to what the new iPhone will look like, feature, and even be called. Below is a picture of what many believe the new iPhone will look like, as a model like this was found. Personally, I found this design to be unattractive. If this is the new design, Apple has flawed in making it taller without increasing the width as well. The new iPhone is also rumored to feature 4G LTE (about time Apple! ), a 9-pin doc connector, which will cut out previous owners from using their collection of goodies with the new iPhone, a smaller simcard designed by Apple, headphone jack on the bottom (next to the doc connector), and a larger battery. Not to mention redesigned earbuds. Also, what will the name be? Last years iPhone 4S was actually the iPhone 5, but Apple did not keep with it's record of number. And then with the release of the third iPad being called "The New iPad" instead of the iPad 3, leaves the door wide open for names. Will it be called the iPhone 5, the New iPhone, or something entirely different? It's also rumored Apple will announce other things as well, keeping with their record of not just announcing one product. Seeing as iOS 6 was already announced earlier this summer, it seems as Apple would have to announce something different like a new MacBook Air, iPod, or iPad mini (if it exists). Either way, what ever rumors are true, if any, I am excited and will be watching the event live the whole way through. And expect to see a post tomorrow with what Apple unveils. I always hate the first post on anything. It's like the first time you play a game without instructions, you have no idea what you're doing. So I'm just diving right in, and getting it over with. I plan to post things mainly relating to games, as that is high on the list of favorites. But from time to time I may post reviews of movies I see, new electronic products out (or that I have purchased), and things closely related. I don't know as of yet how often I will post. With the college semester just starting I am rather busy, but I still hope to post often, and have things to post about. Also, I hope to have a custom URL soon, as blogspot.com is not something too envy. I hope you enjoy reading the things I post about, and feel free to follow me on other sites. Links are to the side >> and game site links are on top bar. I'm Nate - This blog is designed to post things pertaining to my life like the worship ministry, travels, custom builds, new interests, tech stuff, etc. I hope you enjoy reading my blog! Theme By: ThemeXpose . 2017 FxyNate © All Rights Reserved.